The public relations industry is rapidly changing and we must recognize it. This change is primarily being driven by the continuous decline of print journalism, the shift to digital media and the evolving world of social media and digital communications. 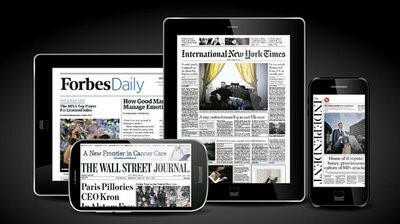 Indeed, these days, readers (and our clients’ stories) are moving from physical print to digital “front pages.” So, frame your WSJ above-the-fold ‘wins’ as a relic of the good old days, because from here on out, most of your our client coverage will be in the form of a screen shot. Deep breath. Maybe I’m being dramatic. Did you know that 4 in 10 Americans now consume their news via digital sources? And, after reading a NYT article about an internal report titled “Journalism That Stands Apart,” it is apparent that the change is real. The report outlined broad recommendations for The Gray Lady to remain profitable while continuing to provide outstanding journalism. Expand training for PR employees across the career spectrum: Impolitely, old dogs must learn new tricks. And, new dogs must learn old ones. This means enrolling senior employees in social media and Google Analytics training – and making sure that entry-level staffers know AP style! Deepen engagement with journalists to build the relationships necessary to survive: Send your favorite journalist an email when you like their story and talk about what you think–not your clients. Retweet them. These small actions will help build a friendly, yet professional, rapport with journalists that will come in handy when it’s crunch time for landing that big client story. A smaller and more focused newsroom means your pitches must be more targeted and more relevant than ever before: ‘Nuff said. An urgent call for visual journalism, beyond including a photo with your pitch: PR pros must make their pitch emails more consumable to digital producers, editors and journalists. Did you know that infographics are shared three times more than other content? And visual information is 650 percent more memorable than written? Invest in the talent to create visual content. Extend the life of each story with a content management strategy: As the newsroom (and attention spans) shrinks, clients must leverage their earned media coverage by distributing it through branded social media channels, publishing it to owned media channels like a blog post or an e-blast, or through paid channels like social or native advertising. Take a page from the Times and be bold – with yourself and with your clients: Admit it when a pitch isn’t working. Remember – we are the experts – and our clients rely on us to tell them when a shift in direction, focus, objective or story angle is required. 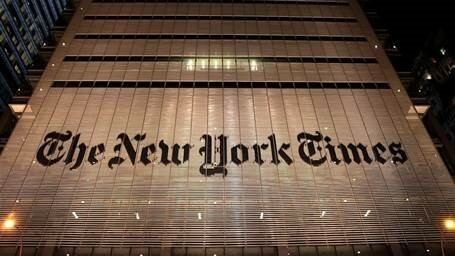 “Our future is much more digital than print,” Times columnist David Leonhardt, who led the internal review, said. As PR industry experts, we agree – and what’s more, we’re ready.